Harare regional magistrate Mr Francis Mapfumo has dismissed a bail application by 59 suspected hooligans who were arrested in Epworth on allegations of public violence. Two of the accused persons are minors and one has been released into the custody of his parents while the second one was released into the custody of the Department of Social Welfare. Another regional magistrate Lucy Mungaru dismissed another application for refusal of further remand by Pastor Evan Mawarire. Four other suspects were freed by Harare magistrate Obedience Matare following allegations of over detention by the police. Stakeholders in the justice delivery have shown commitment to bring justice to the suspected hooligans that destroyed property in the acts of public violence that rocked the nation a few days ago. All cases of violence are presided over by regional magistrates, a development which shows seriousness of the crimes committed. The investigations and prosecuting authorities are ready for trial another indication that thorough investigations were conducted to ensure the cases are dealt with expeditiously. 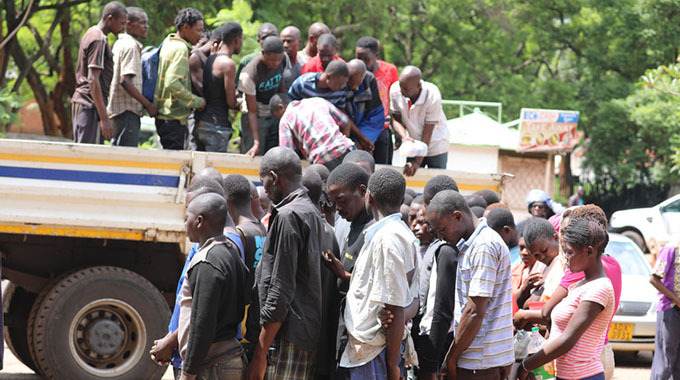 More than five courts are presiding over the violence cases while other cases are being postponed to accommodate trial of the suspected perpetrators of hooliganism that destroyed property in and around Harare. The social media, while it played a role in the incitement of violence, it also helped in the identification of some of the perpetrators. The arrest of the man who was captured with a looted ox-drawn plough in Chitungwiza is testimony to that effect. The arrest of Pastor Mawarire was as a result of the video he posted on social platforms inciting people to continue with the illegal actions. The recordings and gadgets used are being used as evidence.